I spent the last few days winterizing my hives. 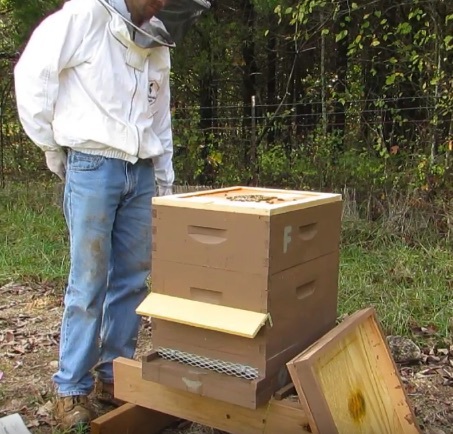 This includes my own little invention--visors to keep snow from blocking the entrance on hives at my outyard (shown in yellow here). This should keep me from worrying too much about hives I can't check on a daily basis. Surely someone's thought of this before, but I couldn't find anything quite like it on the internet.